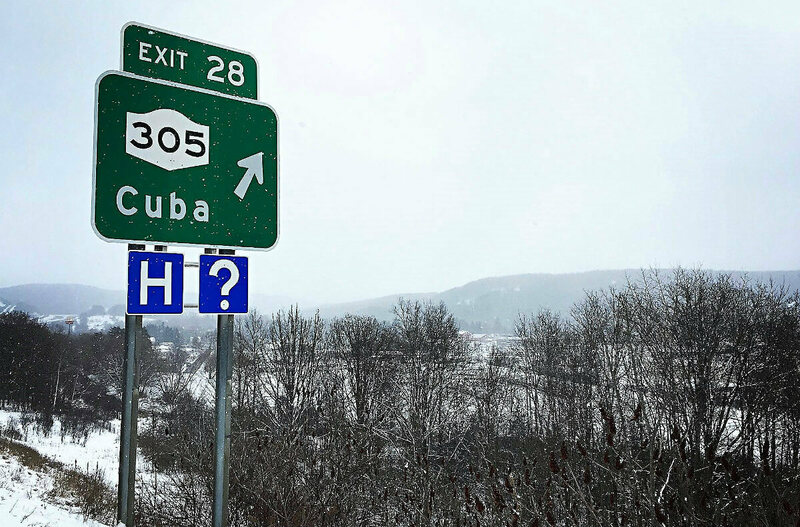 When visiting Western New York, enjoy a welcome respite from typical hotel lodging at The Inn at 28 in Cuba, NY. Our charming country bed and breakfast is convenient to the many attractions and towns in Allegany County and the surrounding area, including Olean, Ellicottville, and Salamanca. If you are planning a college visit, coming to attend graduation or parents’ weekend, or picking up a student, our accommodations are also a convenient place to stay near Houghton College, St. Bonaventure University, Alfred State College or Alfred University. Take the first left, Medbury Street, after the 1st traffic light. We are across from the Cuba Cheese Shoppe.